A/Prof Chow Wan Cheng graduated from the Faculty of Medicine, National University of Singapore, and was further trained in Hepatology as a Clinical and Research fellow in Service d’Hepatologic, Hopital Beaujon, Clichy, France from the year 1996 to 1997. She has a long term interest in Viral Hepatitis and was previously appointed the Chair, for the Clinical Practice Guideline for Hepatitis B, Ministry of Health, Singapore. 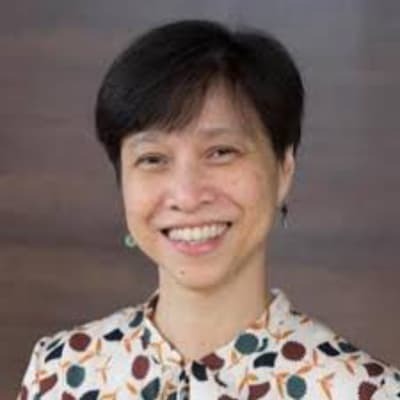 She is now the Academic Chairman of Medicine Academic Clinical Programme, SingHealth Duke NUS, as well as Chairman of Division of Medicine and Senior Consultant of Department of Gastroenterology and Hepatology, Singapore General Hospital, Singapore. She is also Clinical Associate Professor of the Faculty of Medicine, National University of Singapore and the Medicine Program Lead of Duke-NUS Graduate Medical School. Copyright © GIHep Singapore 2019. All Right Reserved.